Are you finding those improvisational moments in everyday life? Work for the day ends early, and I’m wandering around Whitehall in London thinking I might find a cafe – knowing that the place has very few cafes in the immediate vicinity, being full of government buildings crawling with civil servants making tea for each other. 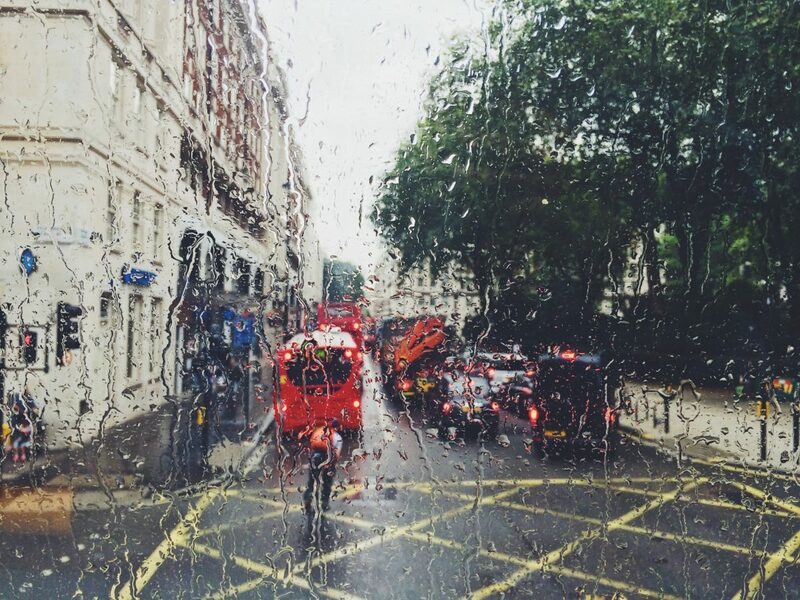 It starts to rain unexpectedly hard, so I improvise shelter by jumping into the first bus that comes along – an 88 heading for Camden. I resolve to get off either when the rain stops or when I see a cafe near a bus stop. That happens in Camden itself (which I know is vaguely on my route home, so I’ve not taken any significant risks of getting lost or off-track). And, yes, there are good cafes here, along with much drier weather. Getting wet was an unexpected discomfort – which itself would not have happened if everything that day had run according to the planned schedule. And the improvised response was to make use of a couple of things that presented themselves – in this case an 88 bus and a strong desire to get out of the rain. These new moves created uncertainty, as I now did not know what was going to happen next. But this uncertainty was not an unpleasant feeling, given that little was at stake beyond the wetness of my clothes and a later need to find fresh transport home. How do you manage the uncertainty when you are thrown from your expected track? In other words, how do you improvise in everyday life? Try new behaviours and practice risk-taking in a safe and supportive environment. Join us at our improvisation for life workshops.